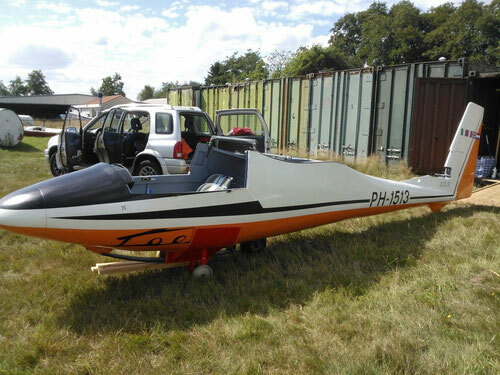 This site is dedicated to our Carmam M-200 glider construction number 55. First registered F-CDKT, and than BGA 2978 EVC and currently PH-1513. The design of the current appearance of the PH-1513. We like the original striping, but changed the yellow livery in to retro orange, to accentuate its sixties design. The post restoration flight can be seen on the menu on the left side of this page "Restauration progress PH-1513"and "maiden flight"
For a brief history about the M200 S/N 55 check "history of F-CDKT/BGA2978"
first flight: 14th august 1969 with a duration of 15 minutes. 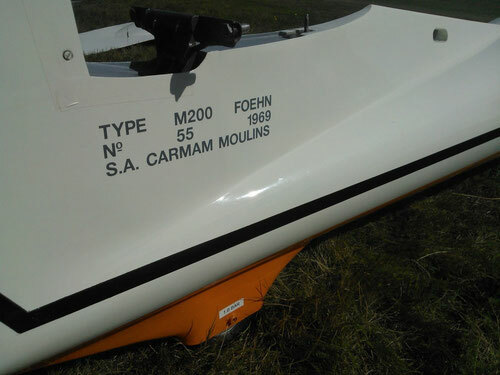 We purchased the Carmam in 2006 from an syndicate in the UK (Pocklington), the restauration was finished in 2012. All major repairs have been carried out with the help of Jan Forster, Peter Deege, Martijn Hoogenbosch, Jeroen van Dijk and Hans Regeer. 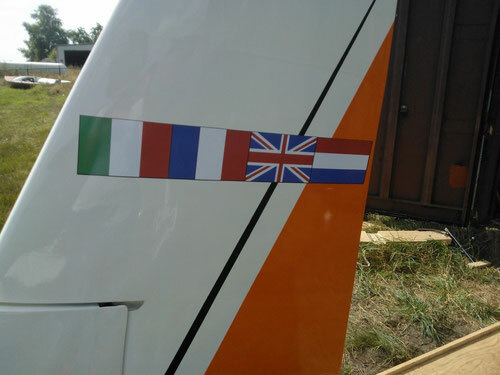 Easa and local aviation authority have been very co-operative to get the paperwork done. Its current registration is PH-1513. You can find al the details about the restauration in the menu on the left side of this page. 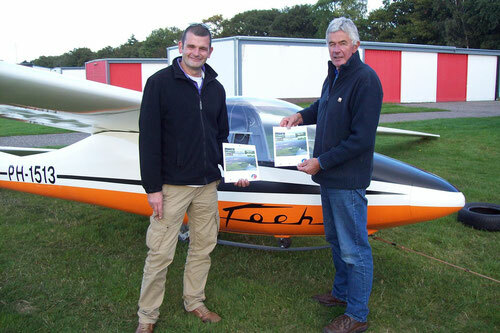 Wim and Bas in front of their finished project moments after the second flight. 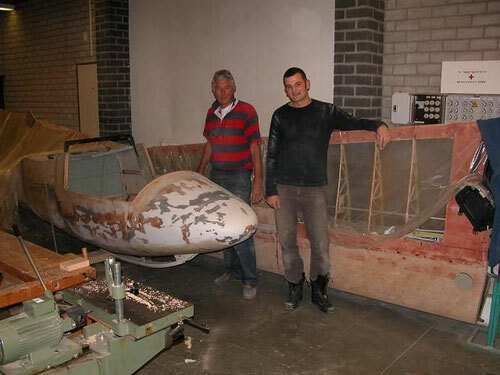 Wim and Bas in front of their project in the workshop wich is located on Soesterberg airbase.